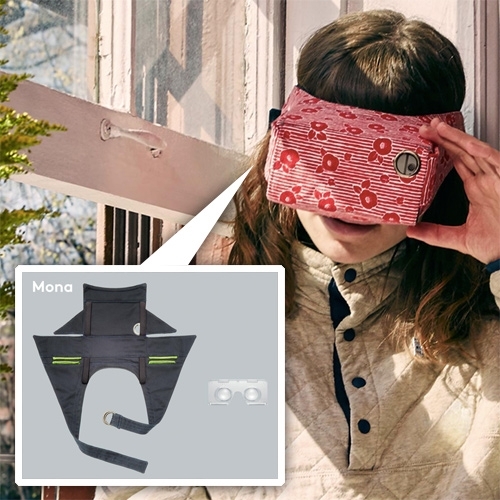 Mona VR flat packable phone headset. Superior luminosity with fire-hardened glass lenses, designed for easy fitting. Wrapped in a 100% cotton shell with adjustable headband. 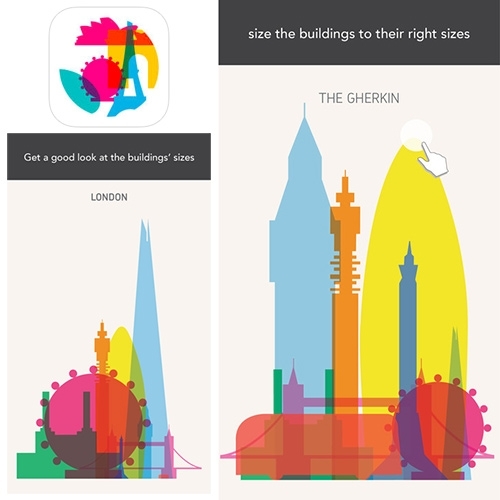 Yoni Alter's "Shapes of Cities" prints series is now a fun iOS app that tests your visual memory while learning about cities. 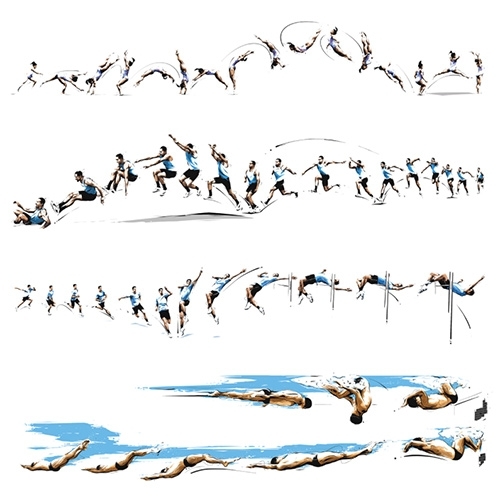 Beautiful illustrations celebrating the Olympic athletes in Rio by Tomasz Usyk for the New York Times. 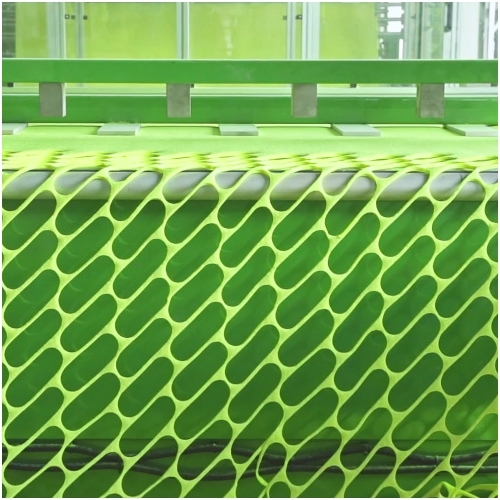 VIDEOThe mesmerizing making of a tennis ball captured by Benedict Redgrove. 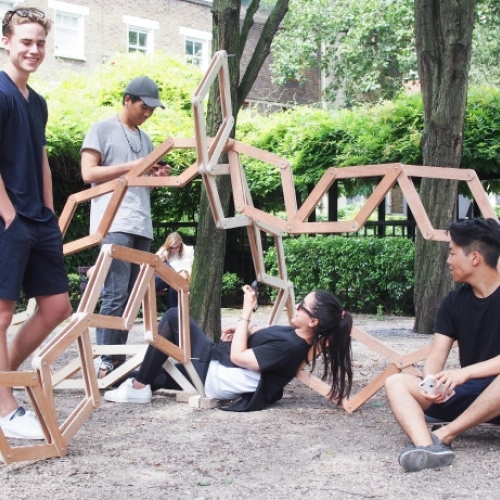 AA Summer School students developed series of site-specific memory devices addressing notion of time in London and its current urban context. 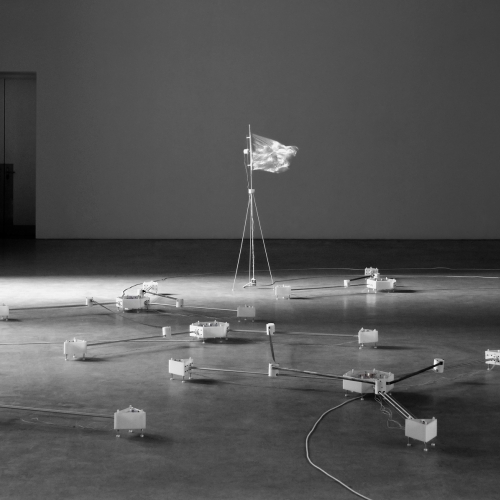 Each device responds either mechanically or electronically to its users by creating unforeseen spatial conditions. 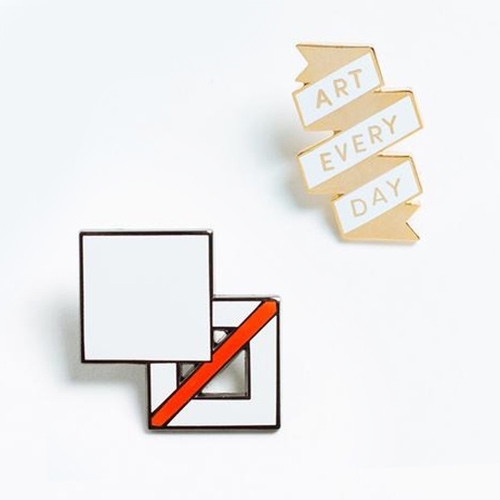 Damien Gilley + Revolution Design House present The Boxcar One Artist Series. 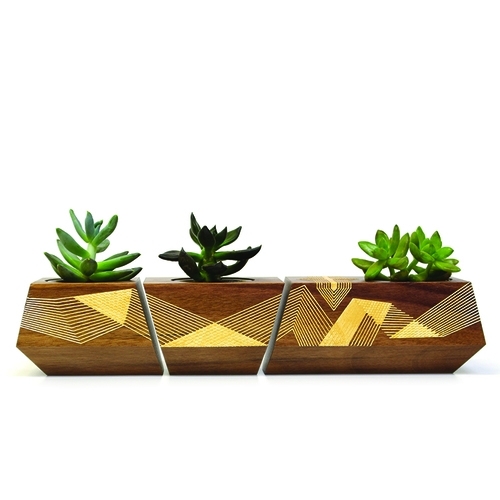 Limited Edition Boxcar Planter Set, made in Portland, Oregon. 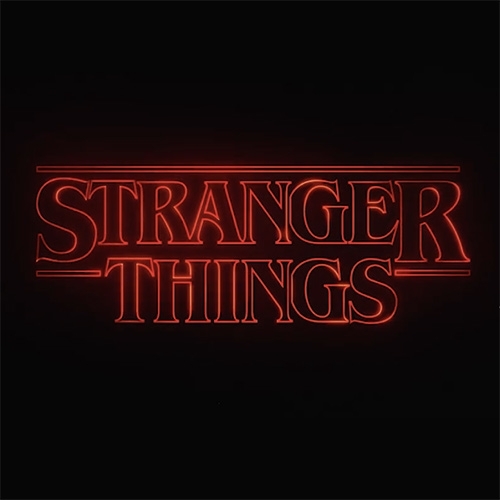 Stranger Things! Art of the Title interview with Creative Director Michelle Dougherty of Imaginary Forces on the creation of the intro sequence, the inspirations, and how it all came together. 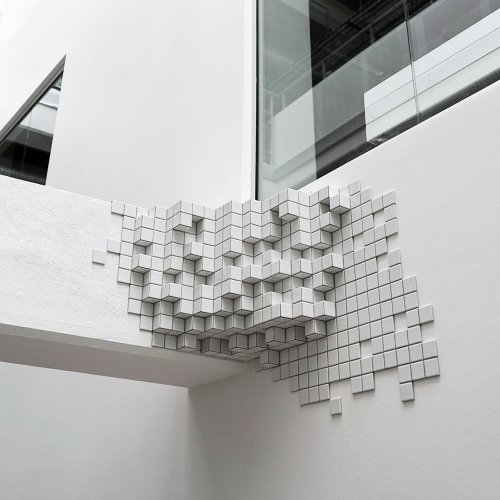 MOS [moss]: group of six site-specific art objects made of 4.800 tiles. MOS is part of Borgman | Lenk's permanent installations at Lillebælt Academy in Odense Denmark. 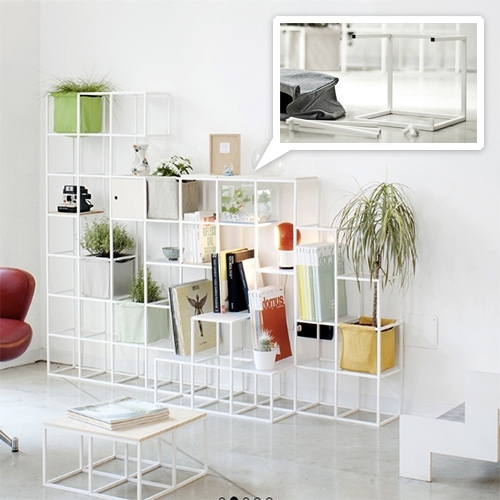 iPot modular system for plants, books, and just about anything you can dream up. 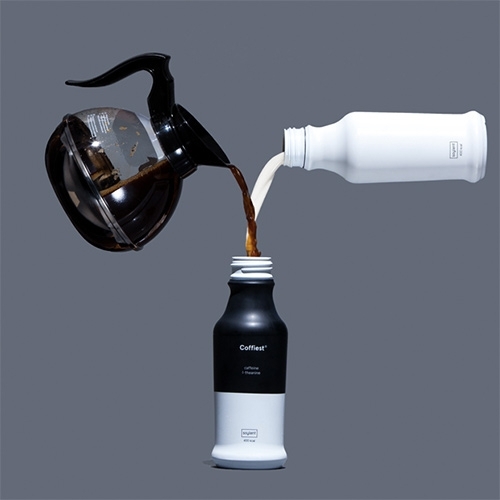 Soylent Coffiest = Coffee + Soylent. Well... "Each great-tasting bottle contains 400 calories of complete plant-based nutrition and the same caffeine as a strong cup of coffee." ButterPly: Better furniture, better lives. 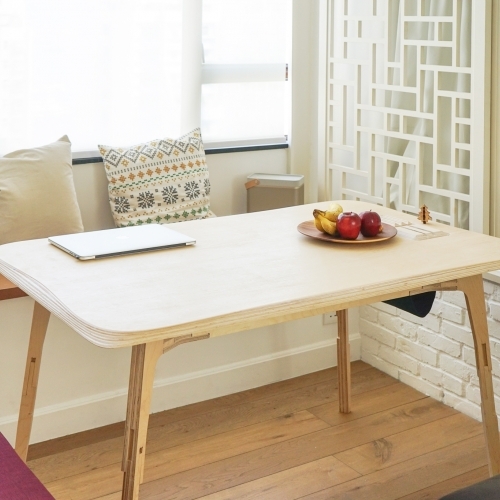 Inspired by Japanese wood joinery, the assembly is easy and requires no screw not tools. Even better, the height of the frame can be adjusted thanks to the in-house developed smart joinery system. 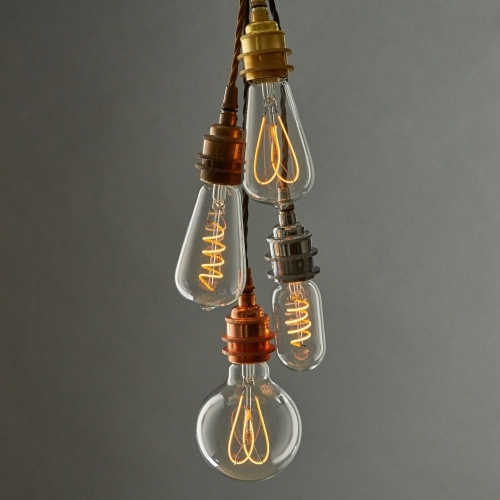 well-lit's beautiful new range of exposed LED filament bulbs using new flexible LED technology to create the intricate filament shapes of traditional Edison bulbs but using 90% less energy. 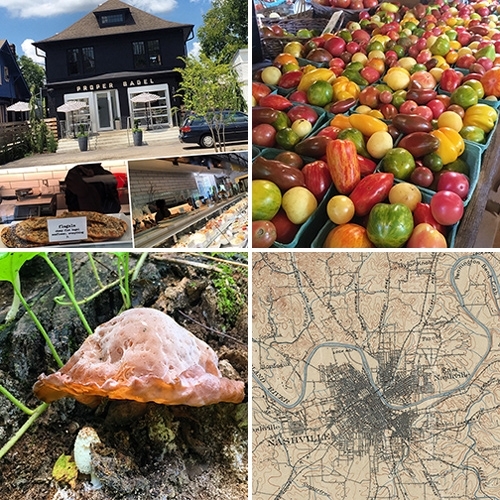 FEATUREDInspiration: Nashville + Project House (IV) From flagels at Proper Bagel, to stunning mini heirloom tomatoes, shopping, nature, vintage maps, mushrooms, and more surprising inspiration. The Tyrolean Answer to Light. Almleuchten are radiant bodies of light made of old wooden beams, that bring the bold energy of their Alpine setting into your space. 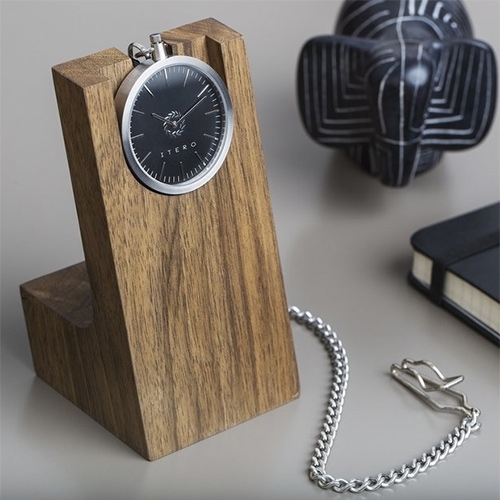 Itero Pocket Watch and Walnut Wood Stand. A beautiful way to display/use your pocket watch more regularly. 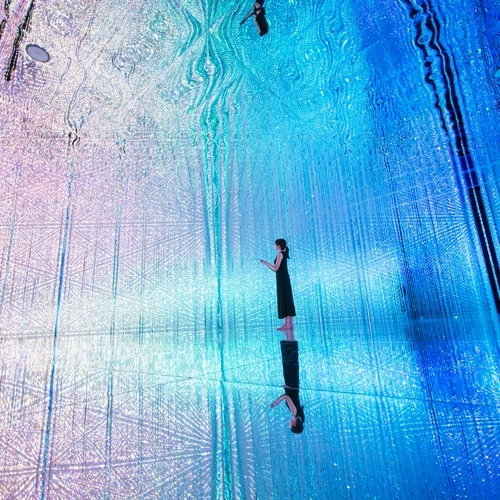 Until the end of August, Japanese art collective TeamLab presents DMM.Planets, art exhibition with large scale installations on a 3,000 square meters exhibition space in Tokyo. 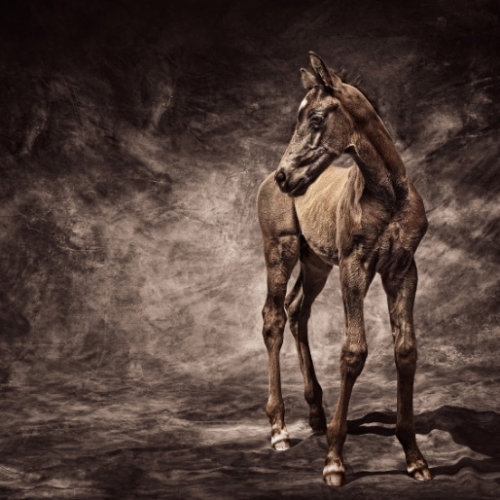 Warm Bloods, a beautiful series of photos of horses by Antti Viitala. 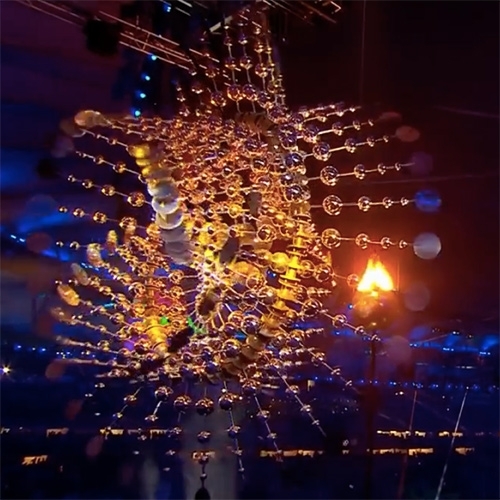 VIDEOThe 2016 Olympic Cauldron in Rio by American Kinetic Wind Sculptor, Anthony Howe. Cloud Light IV is a mesmerizing 40 foot diameter, two-ton Olympic cauldron which symbolizes the sun as it spirals endlessly. See how it was made! Bendo Cool and Cool Luxe Baking Racks! 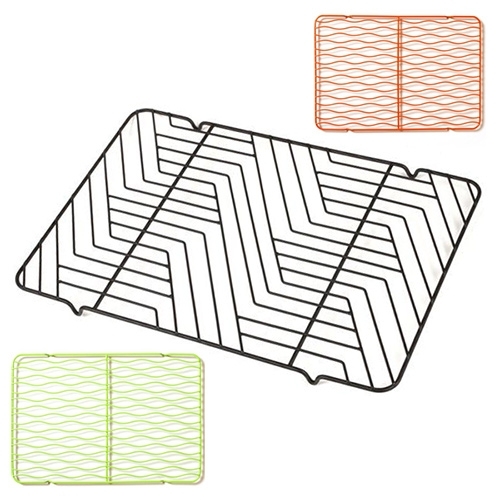 Cute, luxe, colorful racks with fun patterns to mix up one of the more boring kitchen tools. 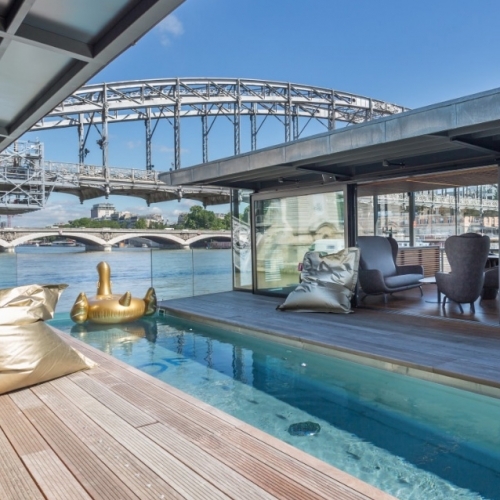 OFF Paris Seine, a floating hotel and bar on the Seine River. 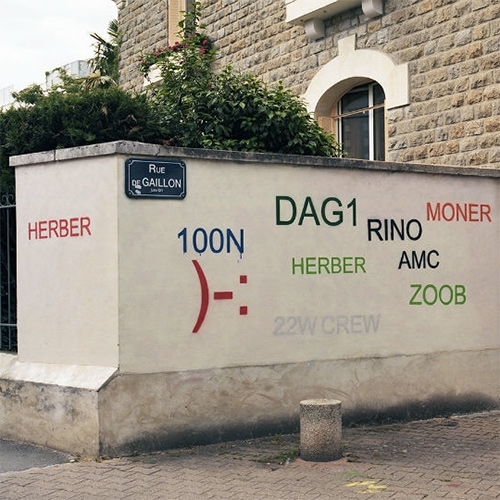 Mathieu Tremblin's Tag Clouds (2010) seems to have gone viral 6 years later, but for all the wrong reasons. Remember the nostalgic tag clouds? He rewrote graffiti tags to turn them into those... and now it's spreading all over and missing his point. 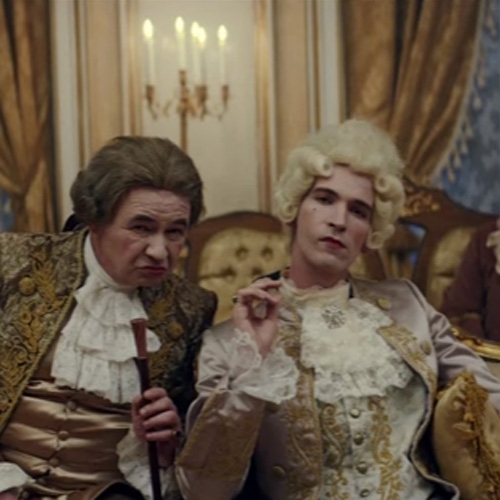 VIDEOLet's Relax. Playful campaign from IKEA to remind us that a meal is just a meal. 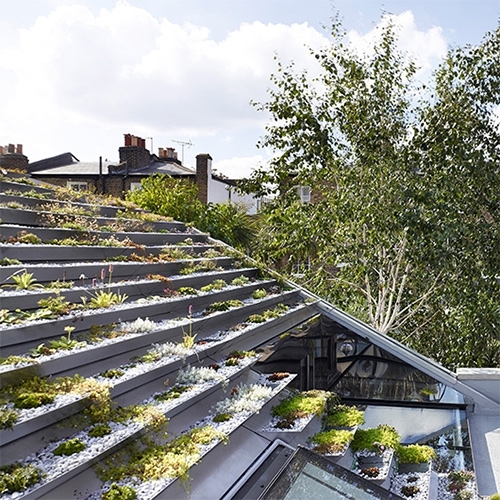 The Garden House in Hackney, London complete with a roof of plants. 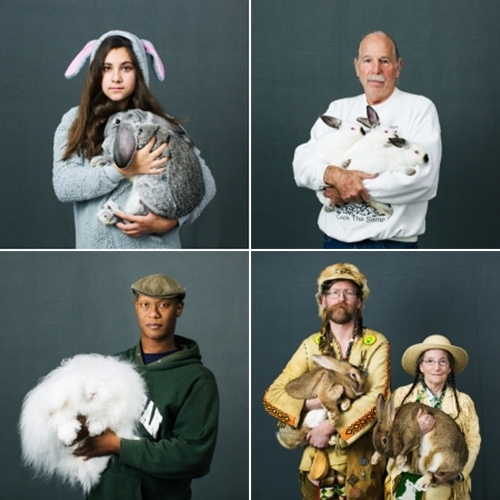 Gorgeous home for Whitaker Malem by Hayhurst and Co.
Katya Rezvaya captures the American Rabbit Breeders Association's prize winning rabbits and their owners in her Oh My Rabbits series. Audiochmura (Audiocloud) is a sonic installation using corrugated pipes as amplifiers emitting sounds gathered around its actual position. The shape of a cloud relates to something ephemeral, almost non-existent and likely to move. 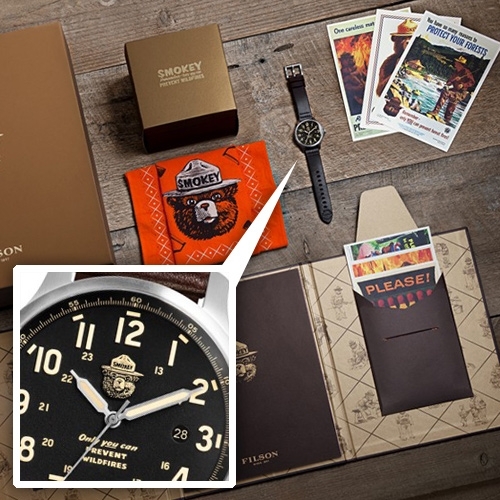 Filson Smokey The Bear Limited Edition Watch Set - complete with certificate of authenticity, a book, and six postcards of Smokey posters. Assembled in Detroit at the Shinola Watch Factory. Limited to 1000 pieces. 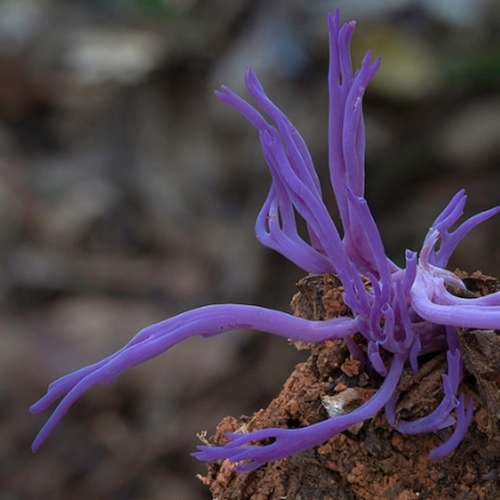 Incredible photographs of Fungi and much more stunning wildlife by Steve Axford. 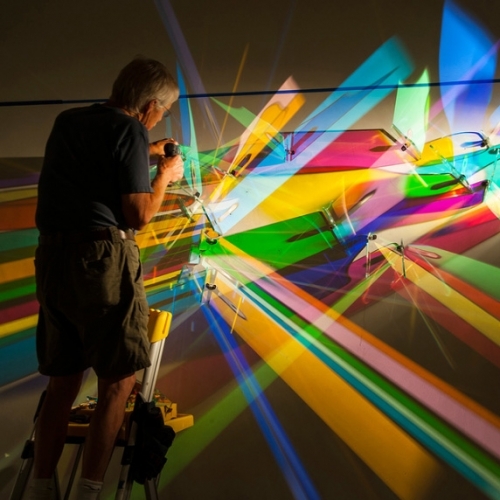 Lightpaintings by Stephen Knapp. The colors are created by using a special glass treated with layers of metallic coatings that act as a selective prism to separate focused light into different wavelengths of the spectrum. 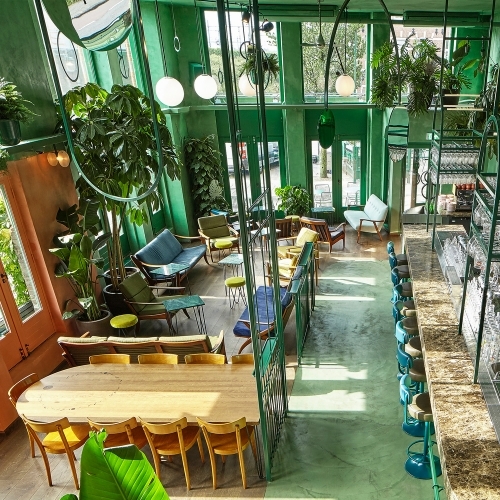 Bar Botanique Cafe Tropique in Amsterdam designed by Studio Modijefsky. 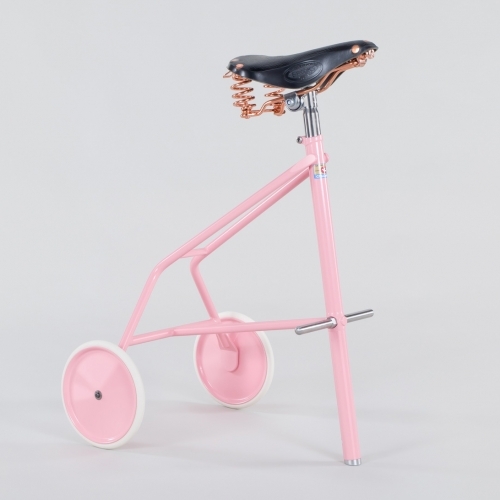 THE TWONKY - powder-coated, steel framed bike stool featuring a Brooks® B67 leather saddle with copper springs. Available in various colours. By Milton Priest. 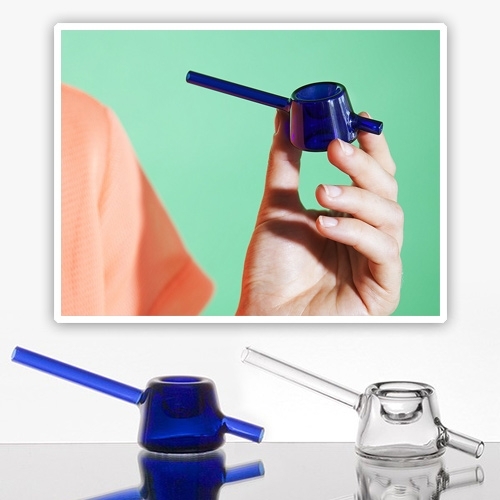 Tetra Balance Pipe - Devised by New York product designer Jamie Wolfond, the pipe's bowl is artfully pierced by a slender stem encompassing both its mouthpiece and its carb. Made of borosilicate glass. 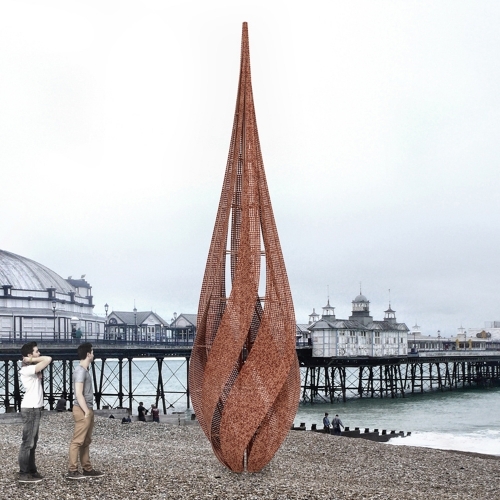 Forged by Flame is a sculpture by George King Architects made from burnt two pence coins salvaged from a games arcade after the 2014 Eastbourne Pier fire. Coming to Eastbourne's seafront in summer 2017. 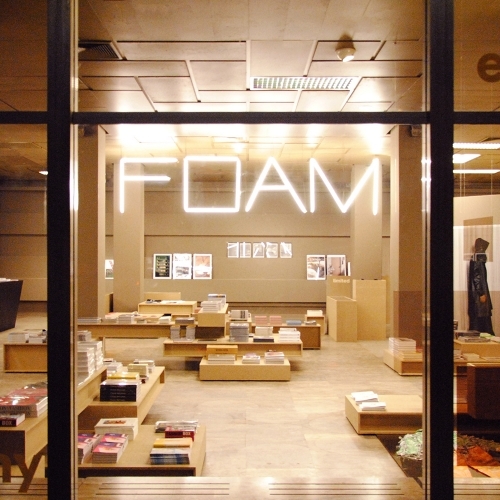 Foam Cloud by Francisco Colom: a light installation that intelligently plays with the observer's position at the Photography Museum of Amsterdam. 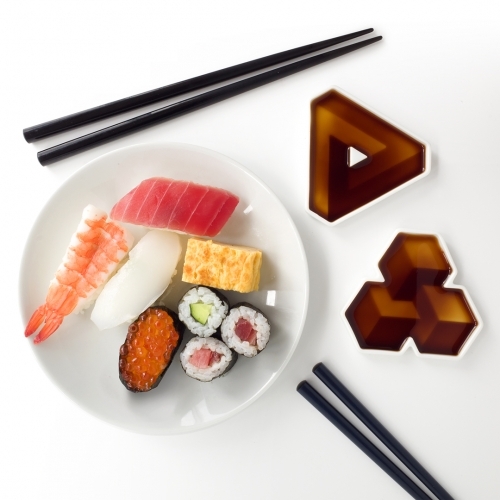 SOY SHAPE dishes give the illusion of 3D shapes when filled with soy sauce. 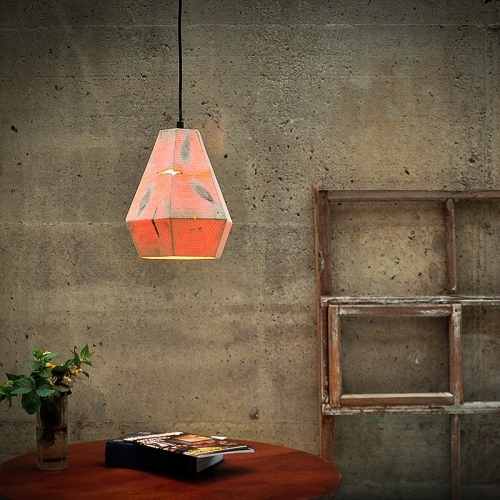 Designed in Tokyo by British designer Duncan Shotton and made in Japan using Japanese "Hakuji" ceramic. 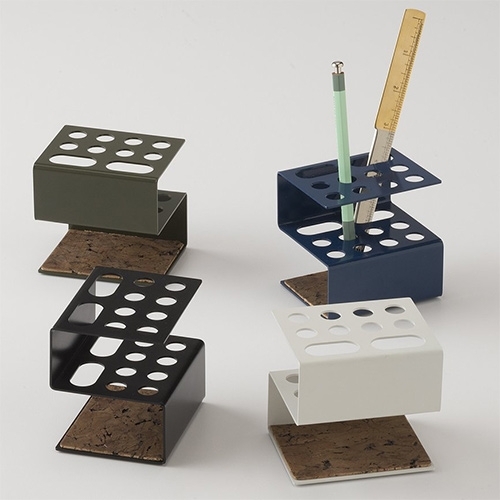 School House Electric Bent Metal Desk Organizer - powder coated laser cut steel with a dash of cork. Hey Wanderer Hand Tie-Dyed Kimonos out of Nashville, TN by duo Casey Freeman and Savannah McNeill. 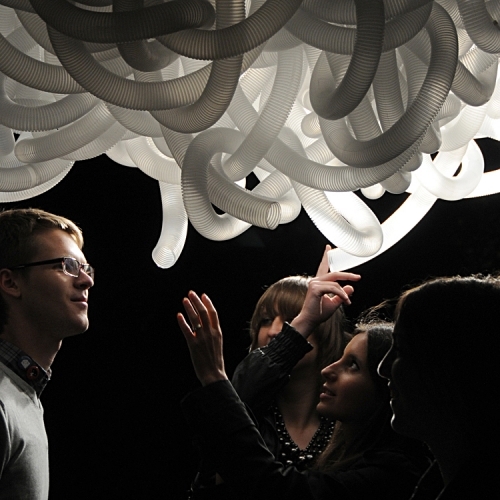 The Aerographer by Luiz Zanotello is a kinetic installation that reacts to the air. 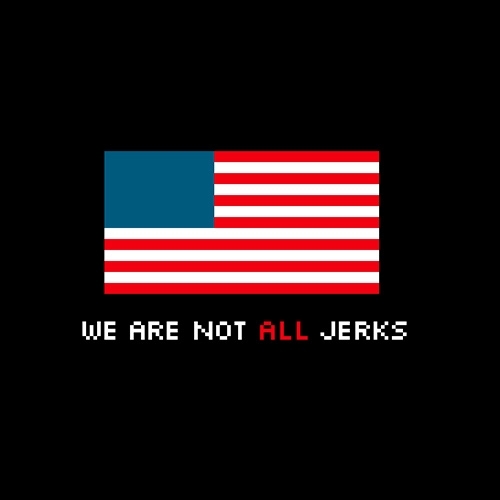 The artwork explores the state of uncertainty in times of ubiquitous technological mediation. 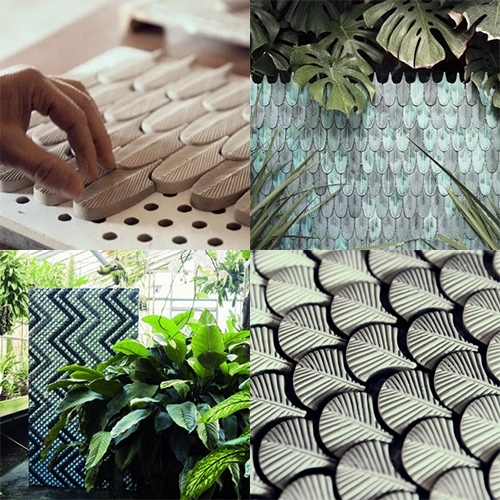 FEATUREDNOTCOT Inspiration: Nashville + Project House Part III! 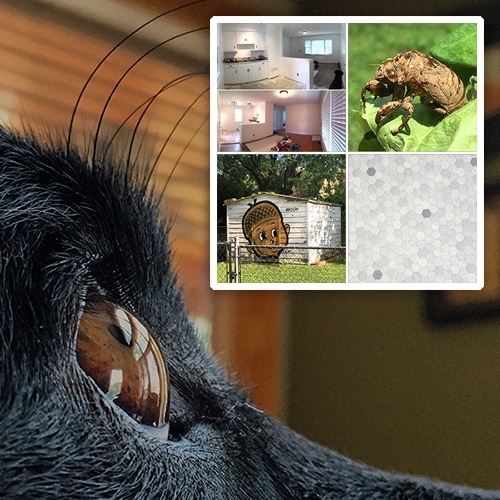 House updates, street art finds, and lots of creatures and other surprising natural inspiration! What A Mess! A pop up misadventure by Keith Allen. 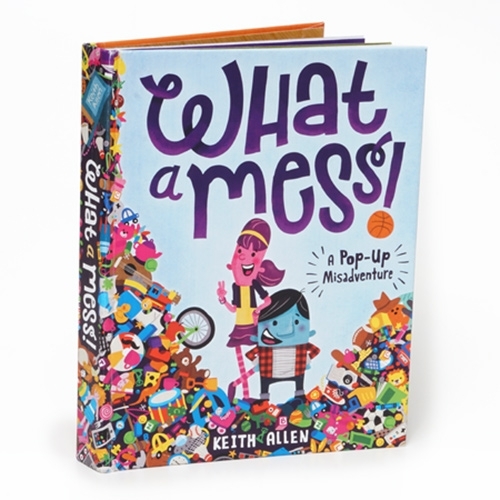 This unique complex pop-up book will take you on a misadventure of epic proportions after a messy room becomes just a bit too messy! 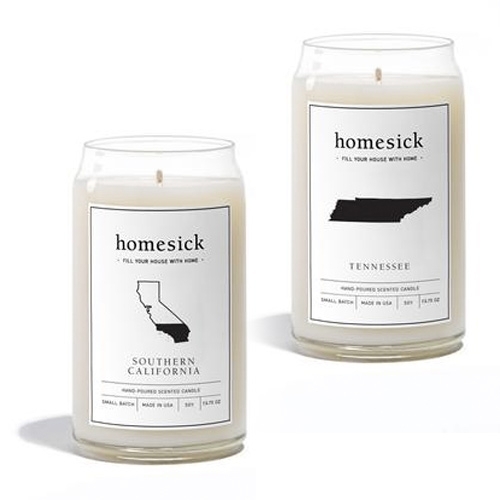 Homesick Candles - SoCal smells like hints of cactus, orange, and (of course) the ocean. Tennessee smells like hints of Magnolia and Tennessee single malt whiskey. 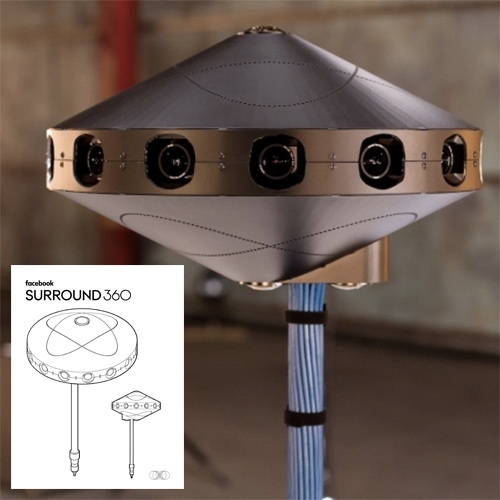 VIDEOFacebook Open Source 360 Surround Camera - join the github and make your own following their IKEA inspired instruction manual. 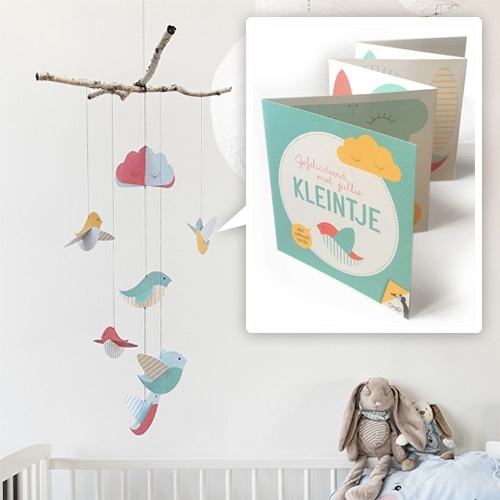 Origami Zoo Baby Card that turns into a mobile! 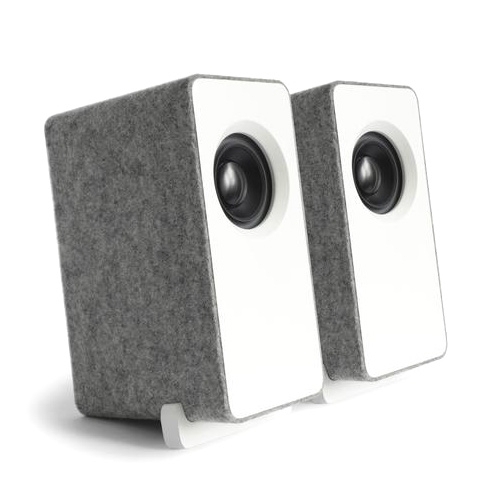 Well Rounded Sound Mini Monitors (WRS MM) - Impressive little desktop speakers in American Oak or American Walnut natural or in satin lacquer wrapped in Silver Gray 100% wool felt.